Infographic Powerpoint Resume are the so-called visual, pictorial or graphic resumes are used since the first creative person decided that he had enough of a unified format which can’t prove to potential employers your creativity, resourcefulness and briefly: ingenuity. 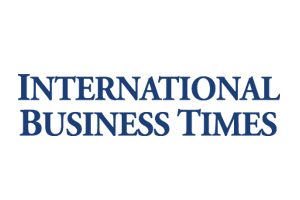 Thus was created the first visual resume that later turns into the video resume, website resume, resume powerpoint and keynote templates and so on, depending upon the media used for the presentation. The time of traditional CV’s has passed. 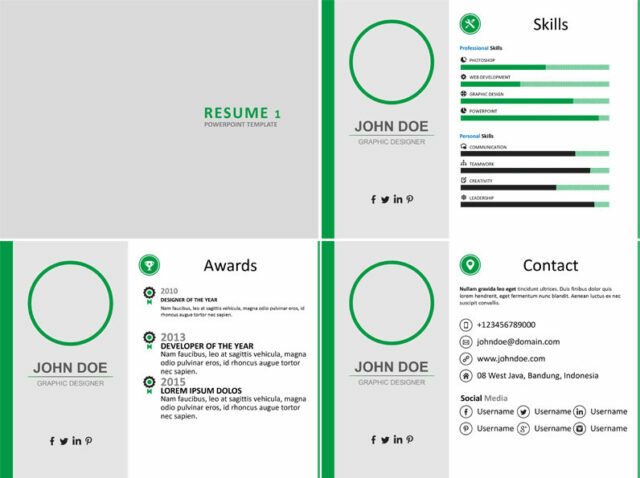 Of course, you should still have a one copy of a traditional resume but visual resumes are becoming more and more popular and if you make them right they can make your resume special and better than others. 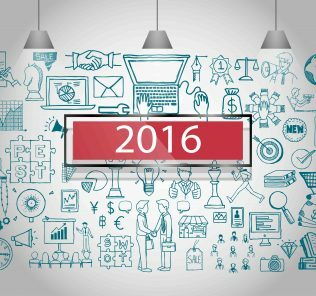 First, let’s take a look why you should choose virtual resume. Main advantage of visual resume if the opportunity to be creative. You can use your imagination here and create a stunning resume that will attract lots of attention and make you stand out amongst the others. Another great thing is that you are able to provide lots of information in a simple and cool way. Why is that? Well, everything in visual resume is (if you make it good) clearly available and it is structured in some order. 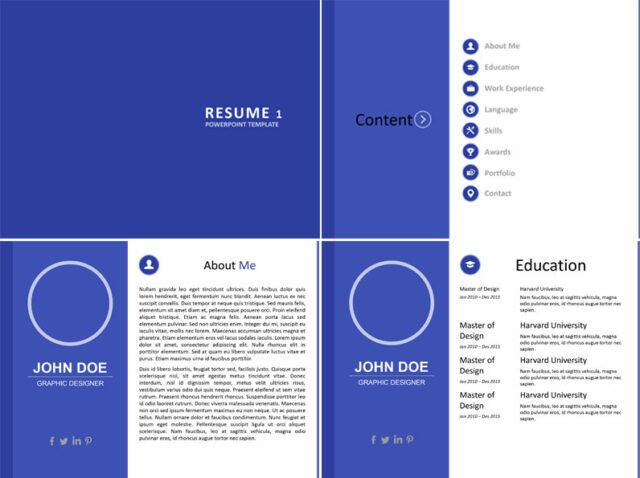 And, like we already mentioned, visual resumes are becoming more and more popular but not everyone is using them already so chances that your visual resume will be the only one from all applications are pretty good. Truly highlight your skills with these unique resume templates. 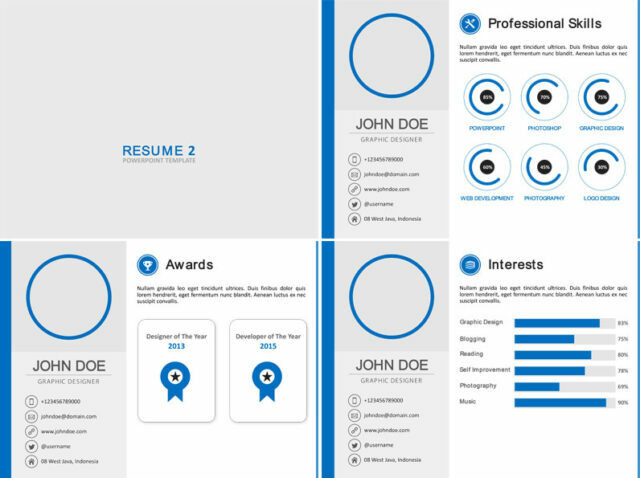 Our infographic resume creator can be your gateway to an exciting new career. Simply customize the template using correct personal information and draw attention to your interests and abilities. 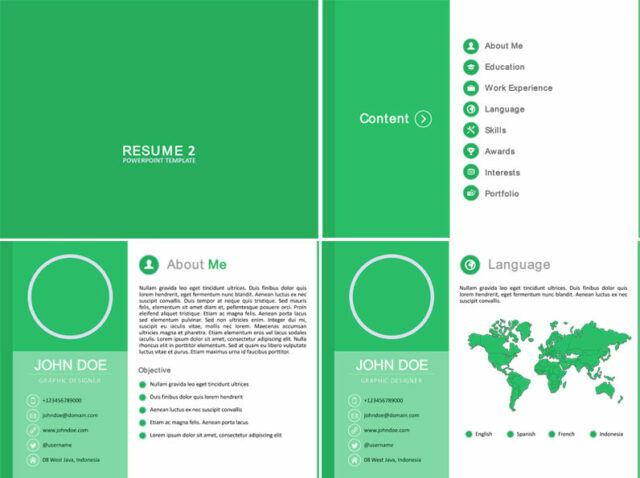 Make a solid first impression with our attractive new resume designs. 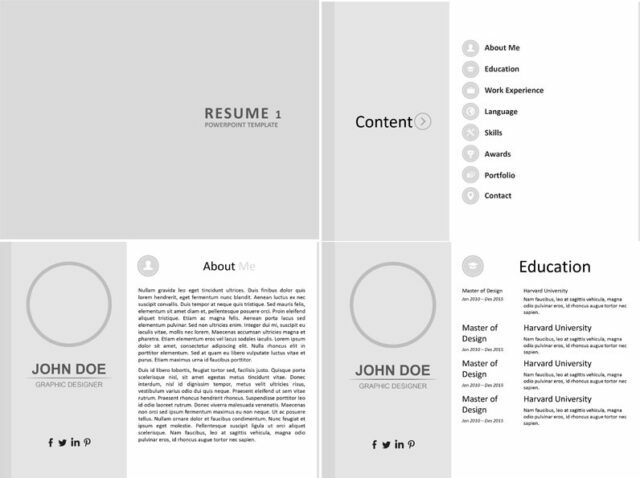 Download the resume templates and let’s get started with designing your brand new CV.